Carol Leitner, IBWC Board member, and general member for 17 years, has her MBA in Health Care Administration from Mount Sinai School of Medicine/Baruch College. 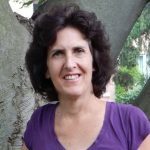 It is Carol’s strong intention and mission to use her business and health training to keep our community healthy on all levels; physical, emotional mental and spiritual. Towards that end Carol markets the services of holistic health doctors and practitioners, actively educates the community on products and services that are known to prevent or minimize the effects of disease, ie Juice Plus and Gia Wellness, teaches Kripalu Yoga/ Stretch classes, offers stress-reducing, therapeutic Thai Yoga Bodywork sessions (gift certificates available for classes and sessions) and hosts holistic health events and expos.